Get the ComeOn App now! ComeOn isn’t one of the older bookmakers, but it’s not one of the youngest either. Established in 2009, it has worked hard to make a name for itself. Newcomers can take advantage of a 10 GBP free bet after making an initial bet of 10 GBP and this offer can be executed when using the ComeOn app. The app is a convenient way for you to bet on the go. From anywhere, you can receive the 10 GBP free bet, get an Acca boost, bet on horse racing, enjoy in play betting, and much more. You can even cash out when you are ready. The platform is very clean, and the experience is a personable one. The ComeOn app can be downloaded from the Apple App Store after you search “ComeOn! Sports Betting.” Unfortunately, the app for sports betting isn’t available for Android in the Play Store. ComeOn doesn’t put a lot of emphasis on mobile betting. This is made evident by the fact that there isn’t a link to the app available on the homepage of the website. The absence of a mobile app link makes it as if the app doesn’t exist. Nonetheless, ComeOn does have a solid mobile website. If you access the website through your iOS or Android device’s web browser, you still get a nice mobile view. You can also take advantage of the free bet promotion. The promotion is available regardless of the device being used. There is no specific mobile promotion. You can take advantage of the promotions that are available to everyone else. It’s up to you whether you want to download the iOS app or access the site in your mobile device’s browser. You will receive many of the same benefits. You can manage your account from anywhere with an internet connection. This means you can place bets while on a break at work or when traveling to the other side of the world. If you don’t feel like accessing your account on your computer, you can do so in the palm of your hand from your sofa. Once you have registered for your account, you have to opt into the promotion during the registration process or choosing it under the “My Bonuses” section once logged in. You are required to deposit at least 10 GBP into your account so you can place the minimum 10 GBP bet to receive the bonus. Once you make the bet on an event with odds of at least 1.8 in any market (except each way bets) within 14 days of account opening, you will receive your free bet worth 10 GBP after the qualifying bet settles. Settlement usually takes 24 hours at the most. You must then use the free bet within 30 days on single or multiple bets. The bet can’t be used with any other offer. If you make your deposit using Skrill, Neteller, Moneybookers, or Paysafe, you won’t be able to receive this offer. All other payment methods qualify. You can download the app from the iOS store by searching “Come On! Sports Betting.” Click the “Get” button and the app will download to your iOS device. If you are using an Android or other device or simply prefer to use your mobile browser, you can play on ComeOn without having to download anything. You will need to register for an account no matter what, so click the appropriate button to register for an account and provide all the required information. You must certify that you are 18 years of age or older. To receive the bonus, you must make your deposit using any method except Neteller, Moneybookers, or Paysafe. This means you want to use Visa, Visa Electron, Visa Debit, Maestro, MasterCard, or EntroPay. You must deposit at least 10 GBP so you can make your initial bet. To activate the bonus, you must bet at least 10 GBP on an event with odds of 1.8 or greater. Each way bets don’t count as qualifying bets. You will have 14 days after account opening to place your initial bet. Once the bonus is credited to your account within 24 hours, you have 30 days to use it. You can use your bet on any sporting event. You don’t have to bet the entire 10 GBP, but not doing so loses the rest of the free bet token. There are no restrictions or minimum odds that must be met to qualify for a withdrawal. Once you use the bet, you can cash out any winnings, but not the 10 GBP stake. There are additional promotions on the ComeOn website that you can take advantage of after you open your account. The welcome offer can’t be combined with any other offers. However, you can use other promotions after you have completed the new customer offer. For instance, you can get rolling odds boosts, bet on the game of the week, join the Free Bet Club that will give you a free 25 GBP bet each week, and other freebies and bonuses. This can change frequently, so it’s important to check the promotions page often. To qualify for the welcome offer, the deposit must be made using credit or debit card. There are other payment methods available, but deposits made using Neteller, Paysafe, and Moneybookers won’t qualify. This is typical of e-wallet accounts, so it’s always best to opt for the other methods available regardless of the promotion that you are opting into in the beginning or throughout your membership. Before you can make withdrawals, you may be subject to the ComeOn verification process. This is likely if you are withdrawing a lot of money or if you wish to withdraw using a method other than the one you used to make your deposit. The verification process involves you providing proof of address, photo identification, a copy of the credit or debit card that you are using on the site, a bank statement (if applicable), or a screenshot of your eWallet account if you are using one. When you make your first withdrawal, ComeOn will give you 1,000 shop points. You also get 1,000 points for every form of identification you provide throughout the verification process. This strict verification process is for your protection and the protection of ComeOn. Reliable or Scam: How Safe is the ComeOn App? 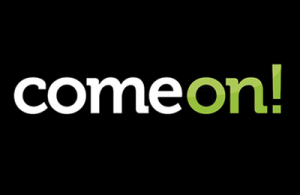 ComeOn is licensed by the UK Gambling Commission and the Malta Gaming Authority. To meet the strict licensing requirements, an online betting company must show that measures have been put in place to ensure underage individuals don’t use the site and that gambling addiction resources are in place. ComeOn is GamCare certified and offers responsible gambling resources that include links to independent organisations and the ability to self-exclude if a person feels that they may have a problem if they don’t stop. The self-exclusion tool is available under “Account Settings” in a customer’s account. Overall, the ComeOn app is widely underestimated. Because ComeOn doesn’t make it obvious that they have a great iPhone app, many people may not know they have it. Fortunately, the site operates great in a mobile browser regardless of the mobile device being used. All promotions are also available to mobile users, which is why you can take advantage of the 10 GBP bonus bet whether you are using your mobile browser, computer, or the ComeOn application. There are many opportunities to play regardless of where you are and promotions that can help you enhance your winnings and your fun. How do I get the ComeOn app? Go to the Apple App Store (iTunes) and search for “ComeOn! Sports Betting.” Click the “Get” button to download the app for free. Once the download is complete, you can open the app to register for an account or log into your existing account. Is the ComeOn app available for Android? No. However, you can access the site through your mobile browser and take advantage of the welcome offer and any other promotions in which you qualify. Is there a mobile ComeOn promo code? No. You don’t need a promo code to take advantage of the welcome offer. You can opt into the offer when you register or find it in your bet slip later so you can use it. It won’t be available for use until you make your initial 10 GBP bet on an event with odds of 1.8 or greater. You only have 14 days to make your initial bet.